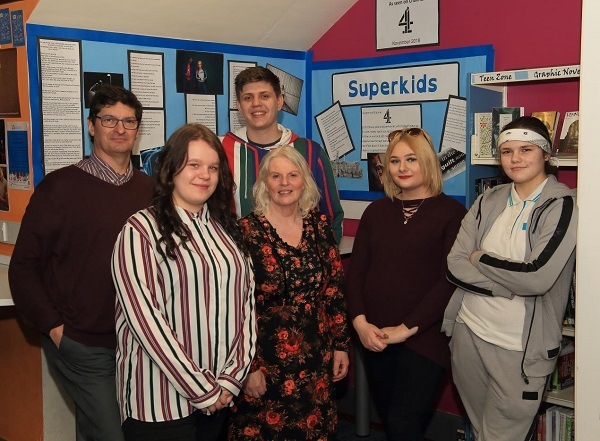 The powerful poetry of some of Coventry’s Superkids is on display in the city’s Central Library. 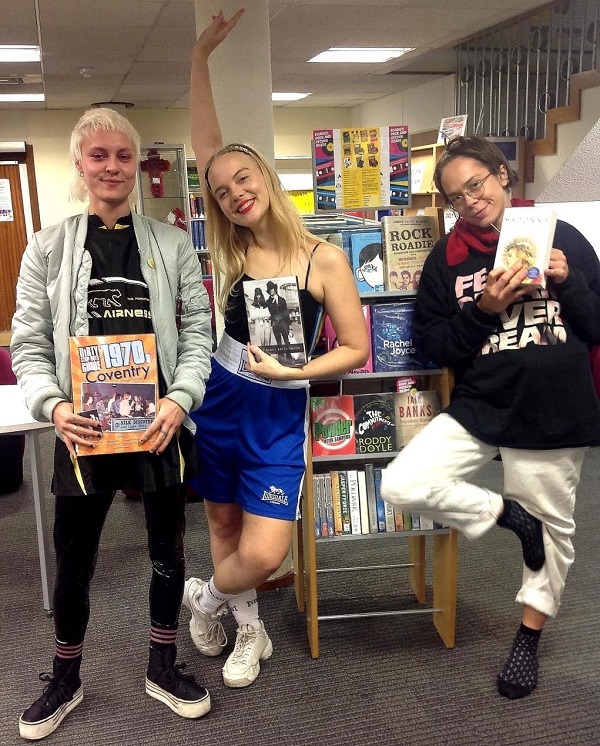 Coventry Libraries have put together a collection of books with a musical theme, in support of the city’s rich music heritage. 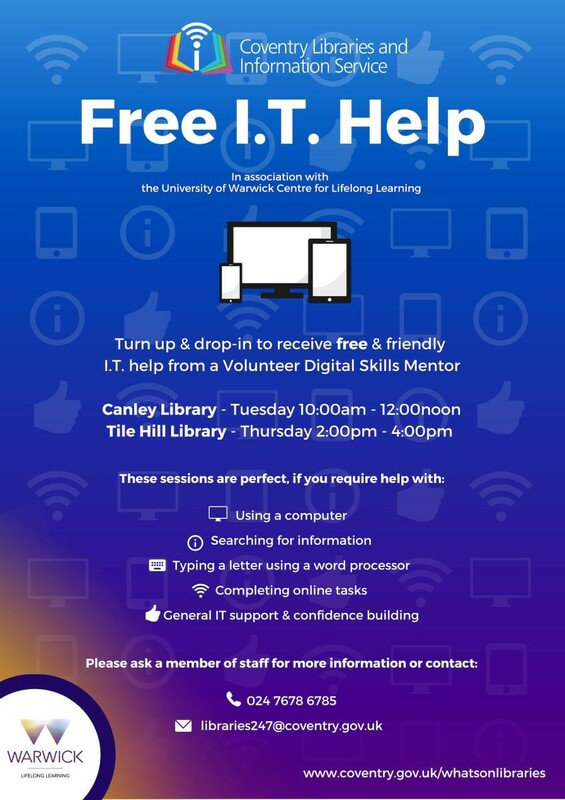 Coventry Library Service is working in partnership with the University of Warwick’s Centre of Lifelong Learning to offer IT support throughout November. Children are being invited to explore Beanotown during this year’s Summer Reading Challenge at Coventry libraries. A range of organisations and a special range of books endorsed by GPs will be at Central Library this Thursday (5 July) between 11am and 2pm, to support mental wellbeing in Coventry. Free scientific workshops about crystals and how their properties can be used to make new technology, will take place at Central Library next month. 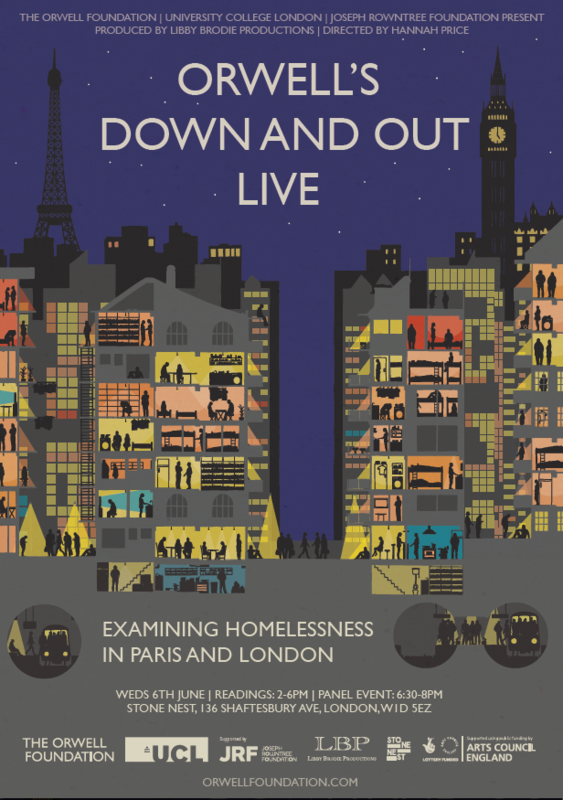 Coventry Central Library is screening Orwell’s Down and Out Live on Wednesday 6 June 2018 2-6pm. Coventry libraries are looking for volunteers aged 14 to 18 who enjoy spending time with young children to help staff run the ‘Mischief Makers’ Summer Reading Challenge 2018. The city’s libraries offer a fantastic service and they are hoping to reach even more people. 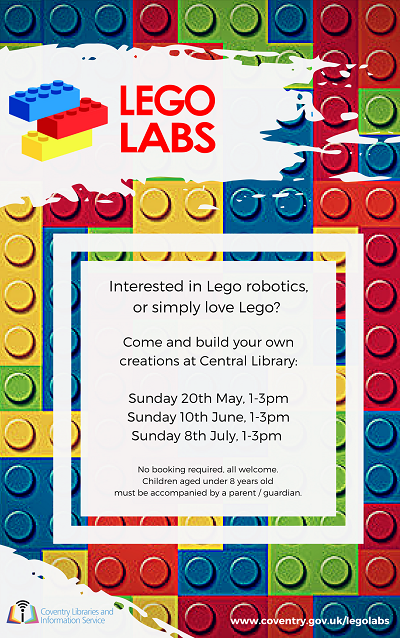 Lego fans are in for a treat as Lego Labs sessions are coming to Central Library.